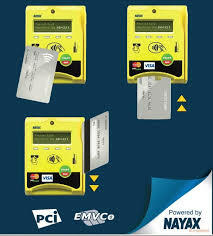 We have recently added another option for your vending machine by offering the Nayax VPOS Credit Card Reader. We think it will be a great fit for customers who want a cashless payment option that accepts chip credit cards and every type of cashless payment- including all mobile payments and a unique reward and loyalty app that does not cost you extra $$. Perfect for new vending machines for sale. It can also connect to Wi-Fi as well as the typical cellular networks without running any communication lines. 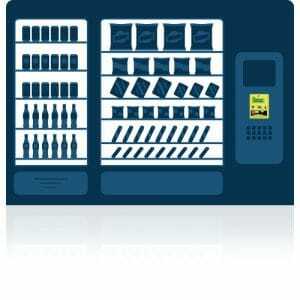 Adding one could be a big benefit to your vending future. 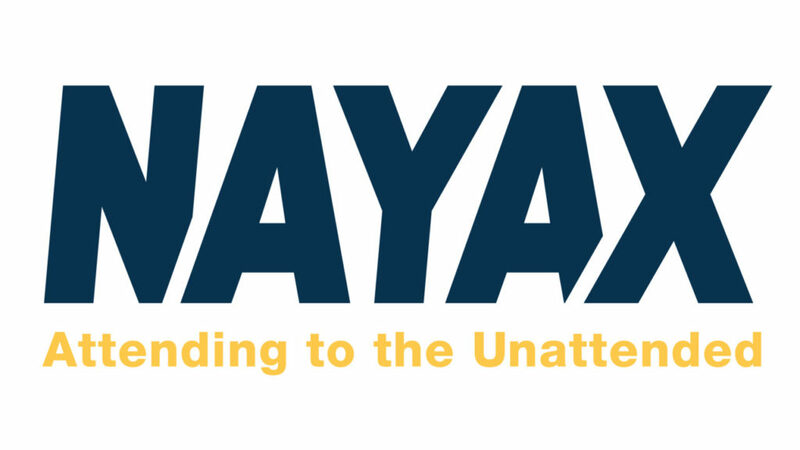 Nayax was established in 2005. They wanted to offer the vending market another way to go cashless and they did it in big way. As an engineering company and the direct manufacture of their hardware, which is unique in this industry, their solutions and unique offerings, offer the best technology and exclusive features in the market place to maximize your bottom-line. Since they are the direct engineer and manufacturer, they are constantly researching and developing more ways to pay and more ways to manage your vending machine. They closely monitor the trends in the payments industry and try to stay a step ahead. They are a worldwide company, serving customers in over 50+ countries. Their readers can even speak in 23+ languages! They offer various options in each market they enter. Being able to so comprehensively offer everything under one umbrella is quite unique. The benefits of cashless payments for a vending machine operator are that they can track all of their machines from one system – even on a mobile application. Using MOMA, Nayax’s mobile management application, operators can monitor their machines and only need to visit those that need maintenance or refilling. Operators can also see their transactions in real time and offer discounts, using their Monyx app, or have the ability to market their brand, track inventory, and send alerts when problems occur. MOMA gives you management and monitoring in the palm of your hand. It is compatible with all smartphones and tablets. 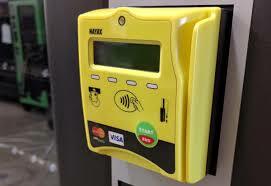 The cashless payment solutions that Nayax offers comply with the latest industry standards for security. They accept the EMV chip cards which is the best way to securely transfer data to financial institutions. It is much more secure than previous magnetic stripe reader devices. However, the Nayax VPOS can also read magnetic stripe cards. They also offer backend monitoring through their vending software to limit the times a card can be used in a day or place a maximum transaction limit. The Nayax software is able to update remotely without interfering with the operations of the machine it is on. The Nayax VPOS is compatible with all vending machines that operate with MDB. The best aspect of the Nayax VPOS is that it can connect to Wi-Fi to run its transactions as well as being able to access a cellular network. Some locations get a very weak cellular signal and having the option to use a wireless network can alleviate the challenges associated with trying to tap into a weak cellular signal. Most locations in our modern world offer wireless to their customers and it’s becoming quite common to find a wireless signal wherever we may be. Nayax also offers a mobile app that helps you market your business and nurture customer loyalty. This app, MONYX, allows you to receive customer feedback, increase your sales through flexible payment options and advertise loyalty cards, coupons and sales. 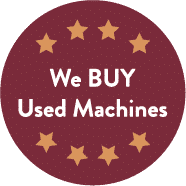 This will help you increase the number of consumers who return to purchase from your machine. This app also coordinates instant refunds for your customer which will reduce operational costs and ensure customer satisfaction. Consumers can choose to upload money to the wallet or direct pay by a variety of payment options, such as credit/debit cards, prepaid cards, or PayPal. You can design and publish different sales that vary by location in a very easy-to-use management platform. As you desire the app can also have your look and feel with the name of your company, logo, colors, etc. so your customers think it is your app. 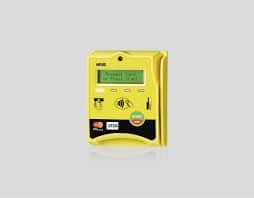 The Nayax VPOS Credit card reader also comes in a snazzy yellow color which will definitely make your vending machine stand out as they walk by. It will stand out to your customers and they will be excited to see that it can accept their chip cards or their mobile pay devices. Add this great cashless payment option to your next vending machine purchase.